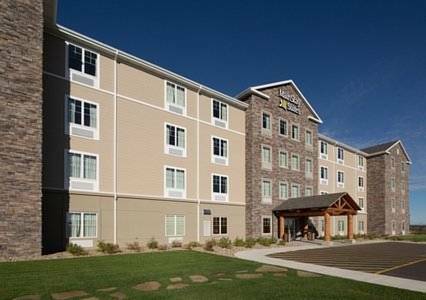 Enjoy a longer stay away from home at our MainStay Suites hotel in Rapid City, SD. This smoke-free hotel is located near destinations like the Ellsworth Air Force Base, City of Presidents, Rushmore Mall, Old Storybook Island Shelter and Black Hills Maze. Enjoy amenities like free breakfast, free WiFi, free airport transportation, guest laundry facilities and an indoor heated pool. Rooms include a flat-screen TV, hair dryer, iron and ironing board. Also, earn rewards including free nights and gift cards with our Choice Privileges Rewards program. Another spot where you just can't trust gravity, and the only one that has TWO mirror image mystery shacks. ~18 miles from Rapid City. ~24 miles from Rapid City. Deadwood has become fashionable again, but Wild Bill Hickok's Death Chair has been drawing visitors since 1876. ~34 miles from Rapid City.